At Oswald-Konz Financial Group, we entirely believe in the power of individual choice. After all, it was that same power that founded our firm! Care for our clients in the way we'd want for ourselves. We founded our firm to be the kind of place where we'd want to be clients. We'd want to be respected, informed, and heard. We don't expect our clients to demand any less. Know our clients and their goals. We understand that investing is more than just a numbers game. There's emotion involved as well. The so-called best investments aren't necessarily the best for everyone. We'll ask you a lot of questions so that we can learn about you as a person, and we'll tailor your investments accordingly. We want to be just as excited about your dreams as you are. Treat clients like people, not like portfolio balances. One thing you'll notice about our firm is that we're friendly. Down-to-earth. Good listeners. Having been in the business a long time, we've encountered this mix of attitudes—and a whole lot of market cycles (both good and bad!). We've got a lot of perspective that can help keep you on an even keel through the ups and downs. Empower clients to feel confident about their decisions. You don't have to know the difference between a REIT and a UIT when you come to see us. We're happy to explain it to you if you're curious. If you're not, that's okay, too. Our goal is to make sure you sleep easily at night, secure in the knowledge that your money is working effectively for you. Practice time-tested financial approaches. 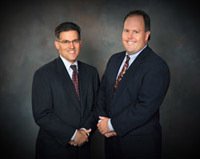 At Oswald-Konz Financial Group, we follow prudent financial principles. We treat your money responsibly. As your needs or financial picture changes, we'll work with you to adjust your course of action accordingly. We monitor your portfolio's performance so you don't have to worry.